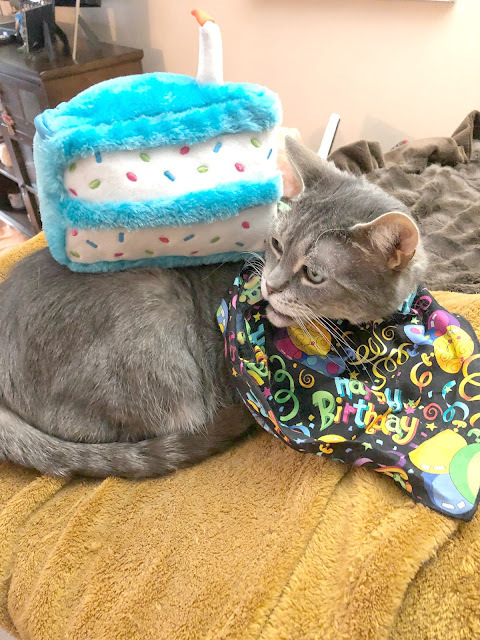 Cat Chat With Caren And Cody: Cody's FroliCat™/ PetSafe Colossal Cat Toy Birthday Give-Away!!!! 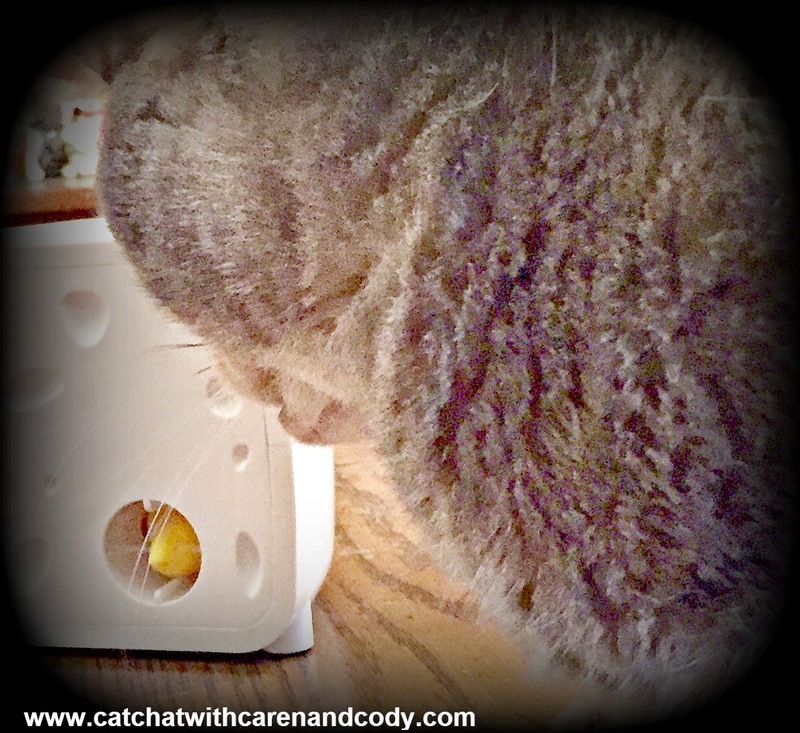 Cody's FroliCat™/ PetSafe Colossal Cat Toy Birthday Give-Away!!!! I cannot believe it!! Today my precious boy is EIGHT YEARS OLD!!! Wow!!!!! It is so hard to believe that so much time has passed. 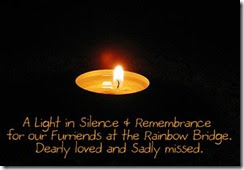 I am grateful every day for having adopted Cody a mere two weeks after my Angel Bobo crossed the Bridge at the age of eighteen. 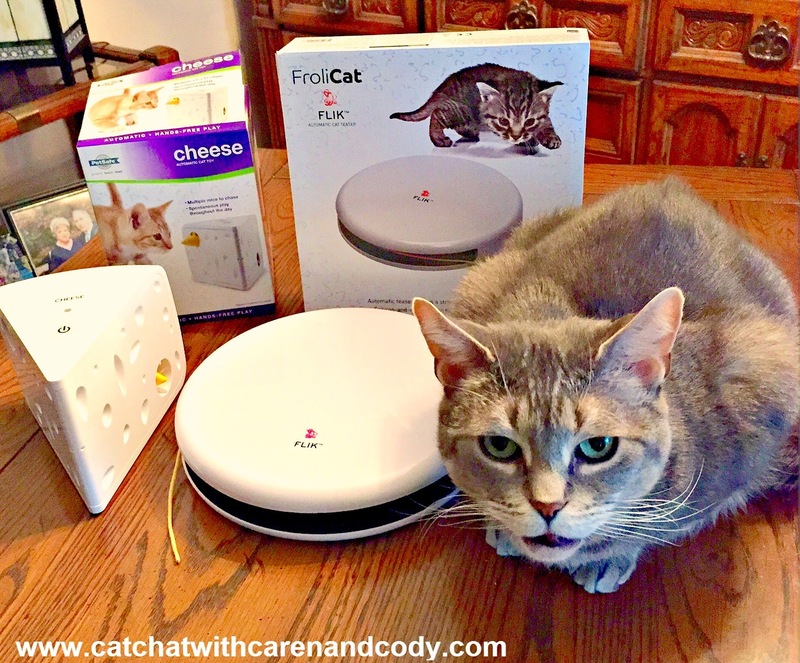 Back in December when we featured the FroliCat Pounce on our blog, I knew I wanted to do a most special give-away for Cody's eighth birthday. I contacted my "magic elf" that hooked me up with most of my FroliCat toys, (and a NEW PetSafe toy that you will just die for), and asked if a give-away were possible. My wonderful magic elf granted my wish! My "love affair" with FrolicCat began when a friend guest blogged about the FroliCat Bolt and I had to have it for Cody! That was the first of our FroliCat toys. 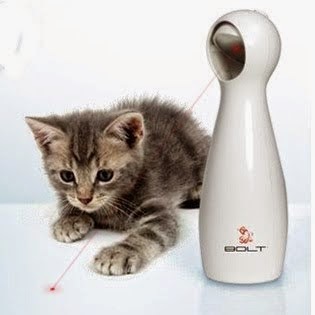 is an interactive laser toy that provides hours of fun for you and your cat or dog. Simply hold BOLT in your hand or place it on a flat surface, turn it on, and watch your pet pounce, chase, and bat at the exciting laser patterns. Pets love the random patterns they can chase across the floor, up the walls, and over furniture. We completely fell in love with FroliCat from that moment! 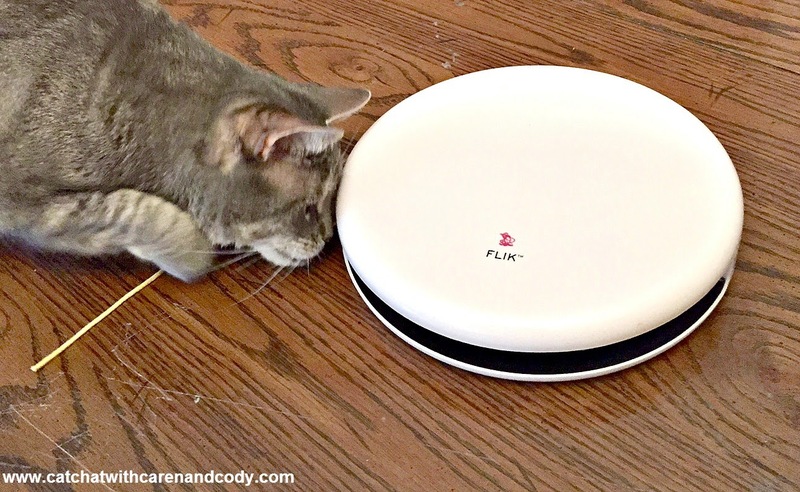 I had seen the FroliCat Pounce at a pet expo that I had attended, and had to have it for Cody. 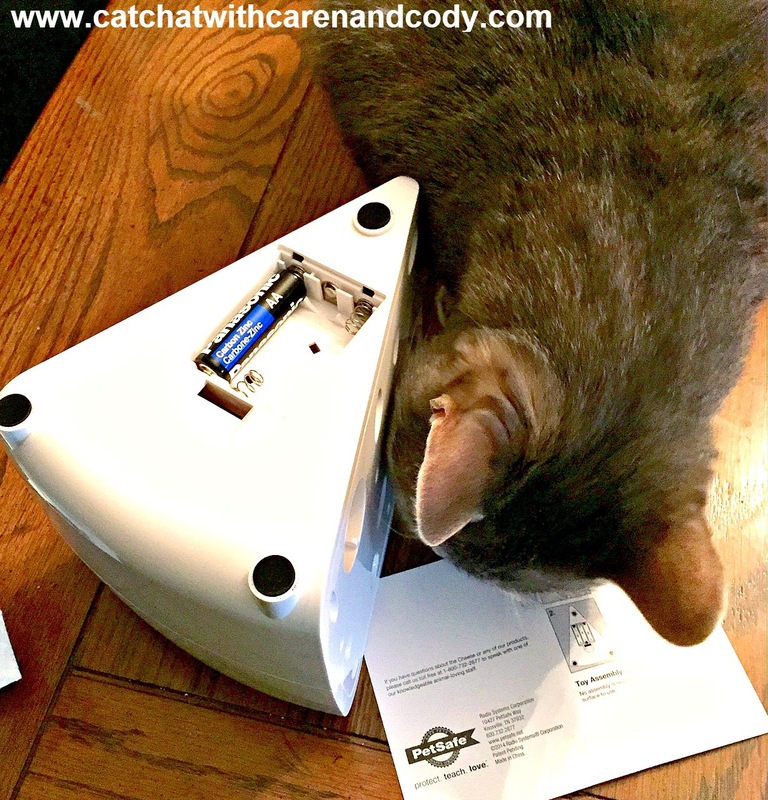 Cody and I blogged about the Pounce last December but here is a photo to refresh your memory! is an automatic hide-and-seek toy with 4 speed settings for hands-free play. Now Cody has two more loves from our furiends at PetSafe! Cody couldn't believe his eyes when these toys arrived this past Monday! 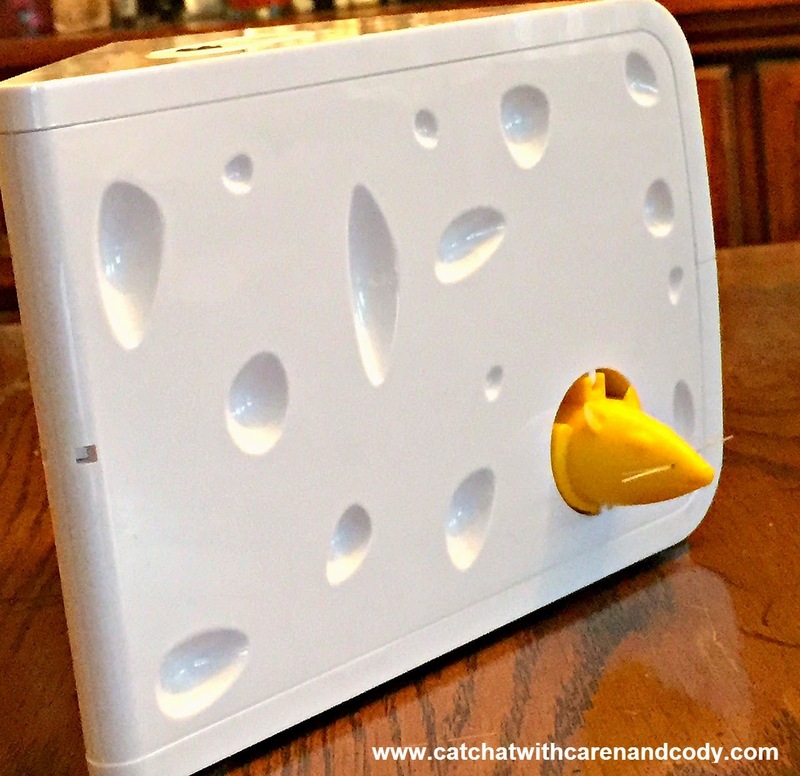 Keeping with the MOUSE theme, the first of the two products we would like to show you is The Cheese by PetSafe! is an exciting game of peek-a-boo with two mice that pop out of each side of the swiss cheese block. Your cat will love the hunt! For surprise play sessions, use Play While You Are Away mode to keep cats engaged throughout the day. 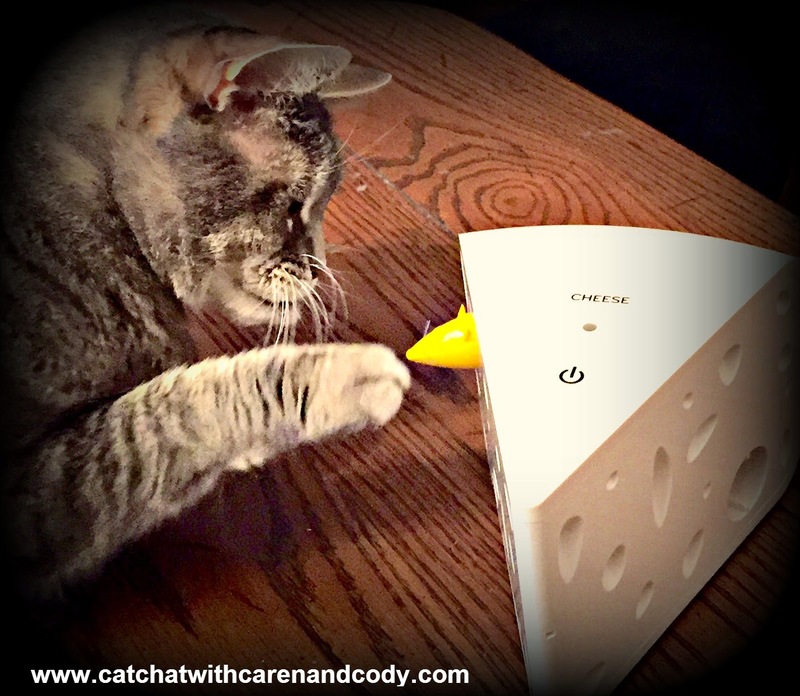 Here are Cody and The Cheese In Action!! Now THAT'S a lot of fun!!! 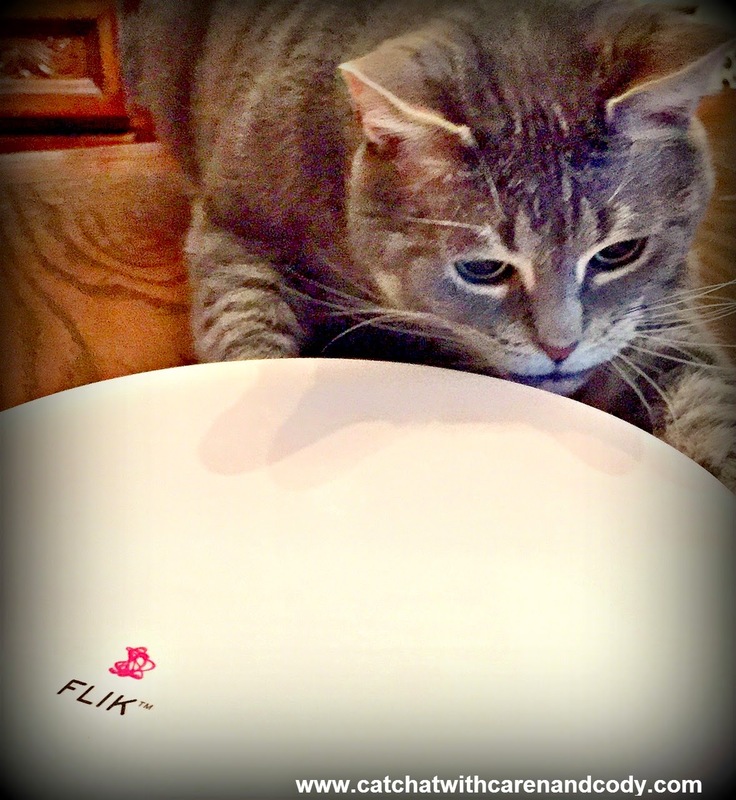 FLIK is an automatic teaser that throws then hides a string to entice your cat to play. 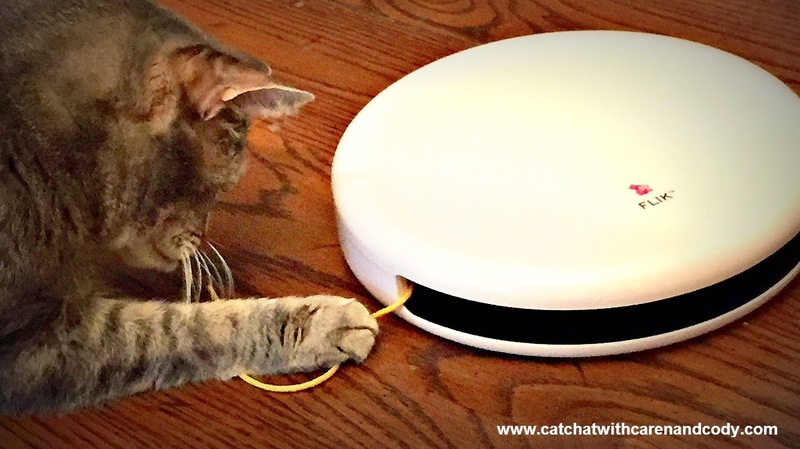 Simply turn it on and watch your curious cat stalk FLIK and try to capture the string before it pops back into the toy. Cats can’t resist trying to grab the “tail” flicking back and forth, just like a wild cat stalking hidden prey. No cat has ever had this much fun with an ordinary string before! The main things about ALL of the toys featured on this page is that Cody LOVES THEM! 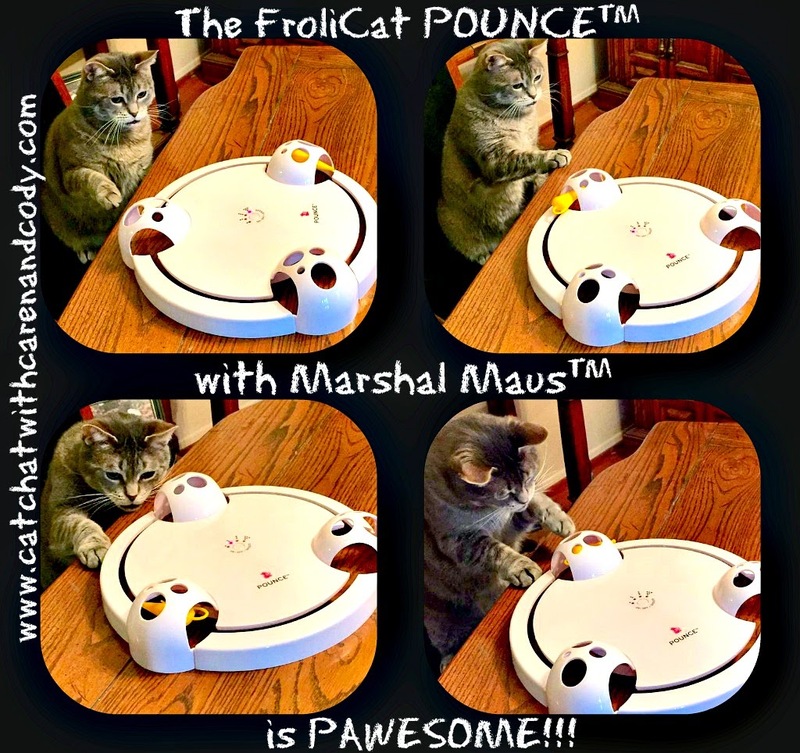 The FroliCat line is EASILY my favorite line of cat toys that are designed to enable a cat to entertain THEMSELVES. Owner-cat play is important, but if we are all honest, we LOVE toys that will keep our cat(s) occupied, often (without our having to stop everything and play), and away from the kitchen more often than not! 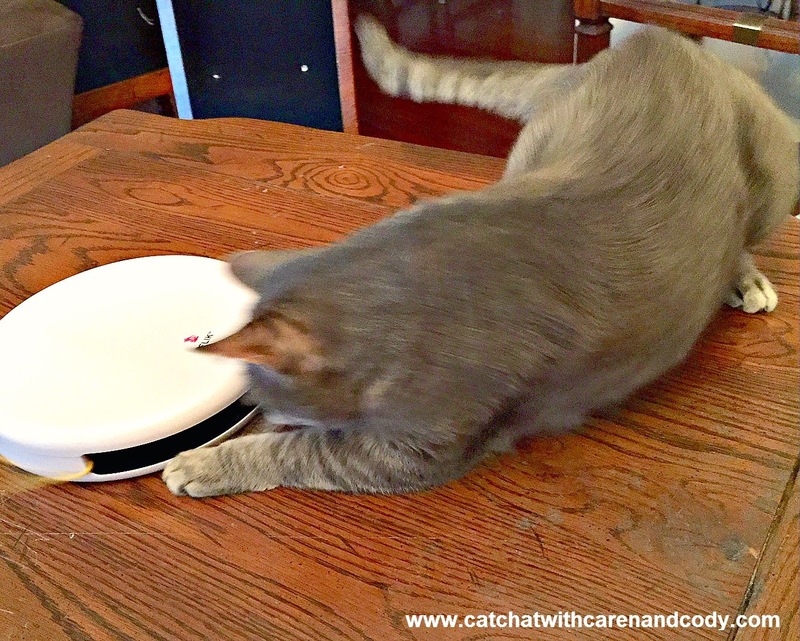 I find the FroliCat line to be quite sturdy, NONE of Cody's FroliCat toys are broken and unlike MANY other toys that Cody has, they are ALL played with, and played with often and enthusiastically. 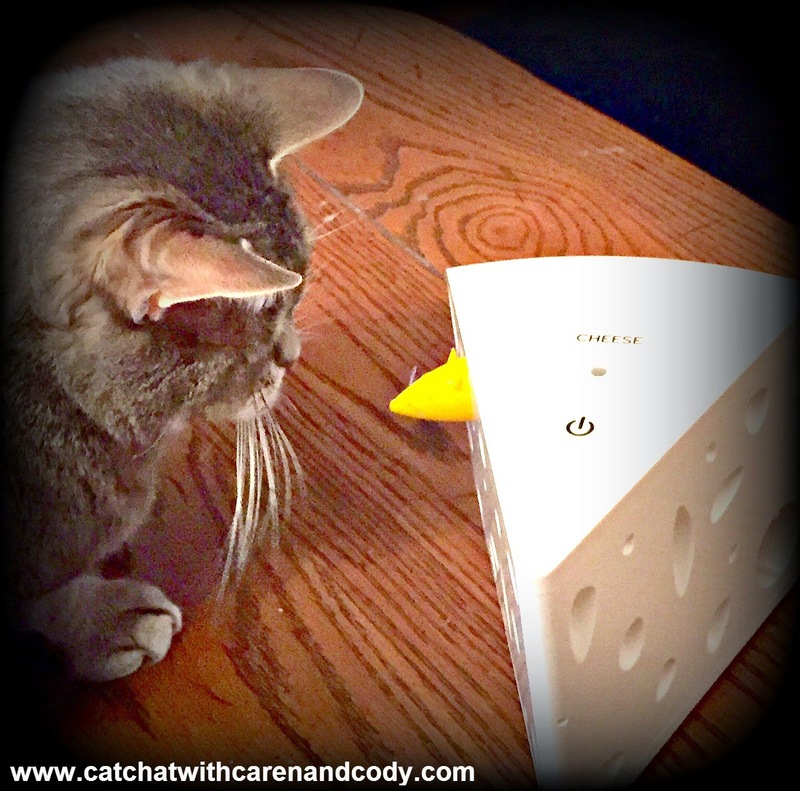 Cody is in love with ALL of his FroliCat toys from PetSafe and if you live in the U.S. (our apologies to our International readers, but due to shipping costs our give-away must be exclusively in the U.S.), you have a chance to WIN!!!! ENTERING IS EASY!! Simply enter on the Rafflecopter below and be sure to complete the bonus entries for more chances to win! In full disclosure: I was not compensated for this review/give-away. I wanted to have a give-away and my "magic elf" agreed! Oh My COD!!! Happy Birthday, Cody!!! We totally forgot you were an April Fools kitty! That's why you're so much fun. : ) And what a COOL birthday giveaway! We've never seen the cheese toy or the Flik one either! They look super fun! We already have the Pounce toy and LOVE it! Happy Birthday Dear Cody! What a special guy you are, we love ya buddy and hope you have the most awesome B-Day! Those are such great toys, what a fun post! Happy birthday dear Cody!!! I left you a prezzie on fb. If we win, these will be donated to the shelter. Happy Happy 8th Birthday , Cody ! 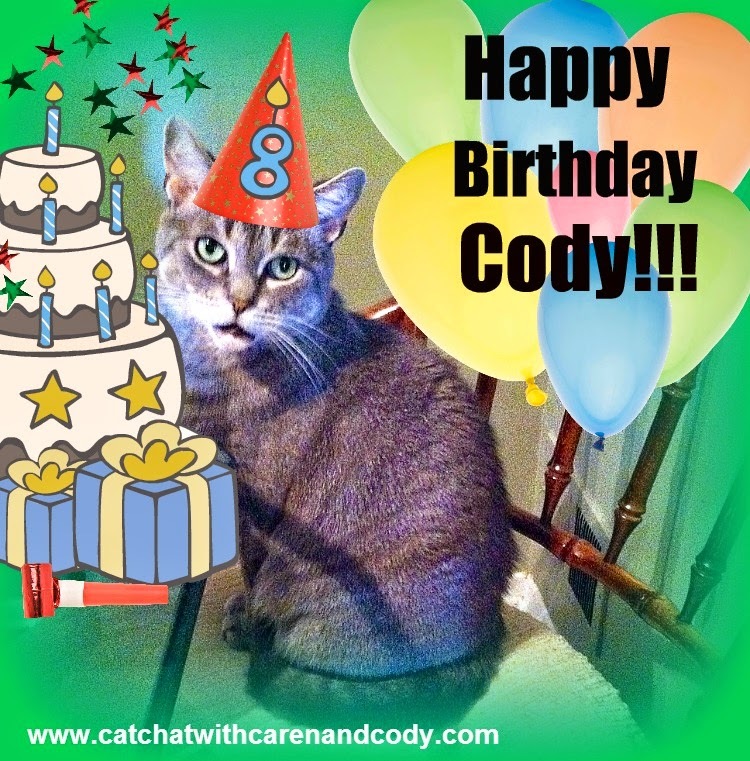 Happy Purrthday, dear Cody! All those toys look like so much fun! Happy Purrs Day cutie pie ... chin scritches to you! 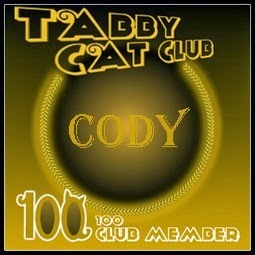 Happy happy birthday Cody from all us Pawesome Cats. You sure have an awesome birthday giveaway going on! A Big Happy Birthday Cody! I probably say the same thing every year, but you and I are possibly the same age, though I celebrate my birthday on May 1st! No one is sure exactly when I was born! Thos toys look terrific *sigh*. You American kitties have ALL the best ones!! Those sure look like fun. Happy birthday Cody. Have a wonderful Wednesday. Have a Happy Birthday Cody. All those toys look fantastic. Happy Birthday, Cody! The toys look amazing - what a lucky boy you are! Now who is the big cheese in your house? Happy birthday to you! Hope your day is filled with mice and lots of loving when you want it. Happy Birthday Cody!!! The cheese thingy looks lots of fun and we love your video! Hope your day is filled with lots of treats and hugs! We thinks those toys would help Scylla get the exercise she needs to lose weight. They look pawesome. Those toys all look so fun!! I think Carmine and Milita would love playing with any of these toys. Happy Happy 8th Birthday, Cody!!! We wish you the best day, and we wish you many more, too! Happy purrday Cody and we hope you get extra scritches. Wow, what great gifties you got! Lucky kitty!!! Wishing you the happiest birthday EVER, Cody, and many, many, many more!!! Those sure are some pawesome prizes! Happy Birthday sweet Cody!!!! How nice of you to have a giveaway on your birthday. Happy Birthday Cody. Hope you have an awesome birthday with all the trimmings. WOW! What a fantastic giveaway! Good luck to all the U.Sers! Happy Birthday Cody! Hope you have a pawesome birthday! Our Riverfront Cats will definitely love this toy. Great giveaway! Happy Birthday, Cody! So nice of you to have such a pawsome giveaway to celebrate! Happy Birthday Cody. Have a fun filled day. Those sound like some awesome toys. Happy B-Day Cody! May your day be filled with love, kisses, toys, and treats... but mostly treats! Hope you have fun with your cool toys! Hey Cody, Happy Birthday from all of us pal! Happy Birthday Cody! You are a super cool kitty and boy do you have fun toys to play with. Our cats love laser toys so I'm hoping we get picked so they can have some fun with these great toys too. Happy Happy Birthday, beautiful Cody! I think your mom should have put some treats on that mouse's pointy nose. It was sure fun watching you do your product testing. Wishing you many happy healthy returns. Happy, happy birthday, Cody! 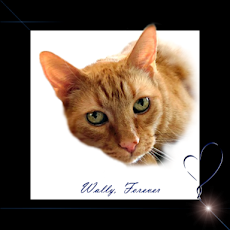 Hope you have a purrfect day with lots of treats and sun puddles. What a pawsome giveaway you are having. Those toys look amazing. The happiest of birthdays to you, Cody! We hope you're having a splendid day. And nah, we'd never guess your mom is biased. LOL. Good luck to the entrants of your give-away! HAPPY BIRTHDAY, CODY!!!! We hope it's the best one ever!!! Those toys look super fun - what a great giveaway… THREE toys?!? WOW! Good luck to everyone who enters. 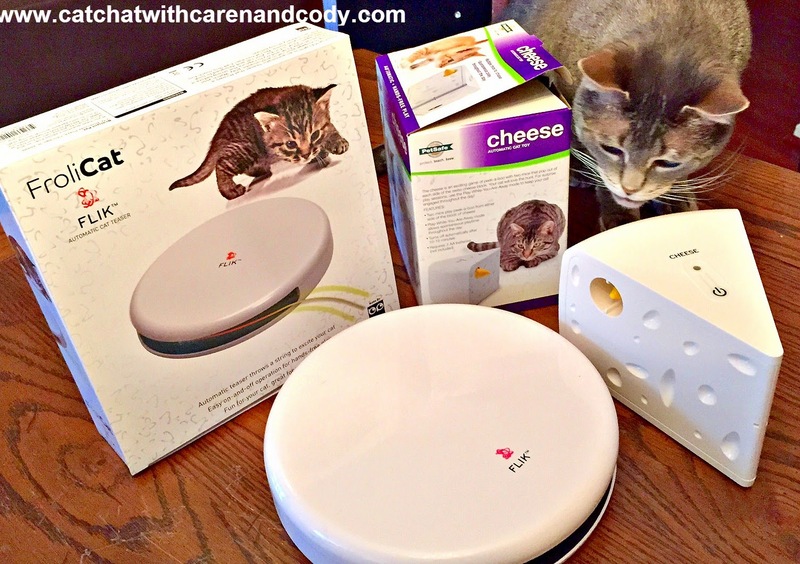 An incredible giveaway for an incredible cat!! Happy Birthday sweet boy!! We love you and just know you will be treated like the king you are for your special day!! 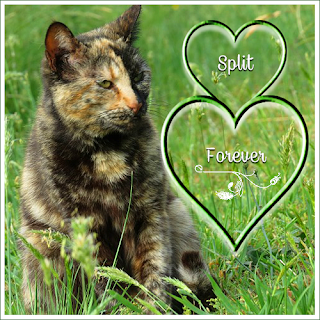 xoxox Purrs from Deb and the Zee and Zoey Gang! Happy Birthday Cody! I was completely mezmerized watching you play with that Flik. I didn’t like the bolt laser cos it was too loud but the shelter cats love it. Loads of Luvs birfday boy. Happy birthday, Cody! 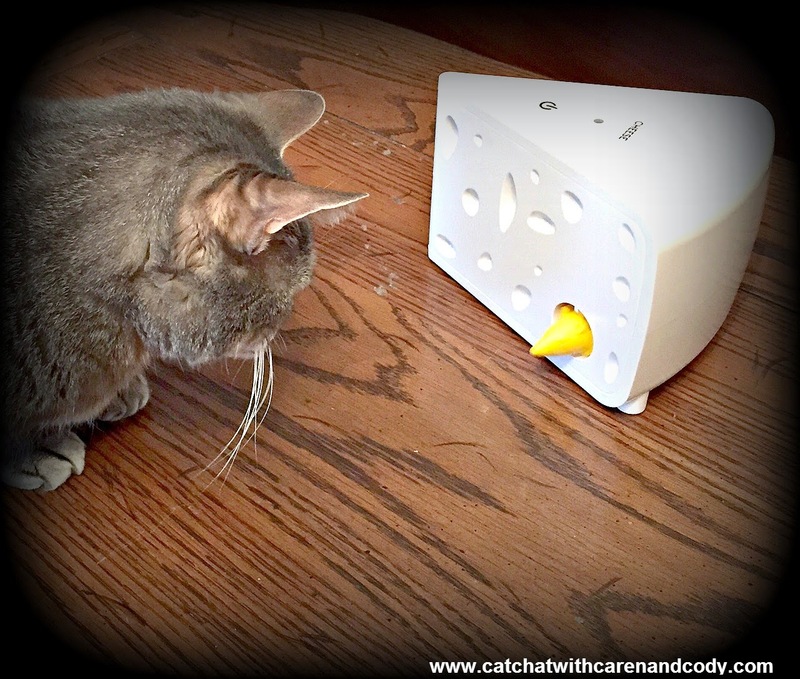 The head peep says that she saw the cheese in the new product section at Global Pet Expo and wanted to bring it home to us right away. It looks like you had a blast with it. Happy happy birthday Cody! You're one year older than Emma. Nice toys too. Happy Birthday Cody! Eight is a great age to be!!! Happy Meowday Cody. Looks like yous had a pawsum day. And OMC yous givin' all dat away. Weez been wantin' all those too. Mommy sez they be a little outta ow purice wange but purrawlly worff it. 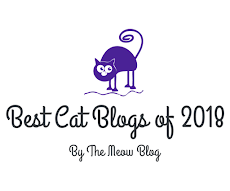 We sure do hope weez da gwand purrize winners. Hav fun Cody yous lookin' good. CODY!! I am also EIGHT!! (we think)...but no matter. What totally awesome birthday event and generous give away. Hope your human is coming along to BP in Nashville because Mom L is all set to GO! Oh my goodness happy birthday Cody! Those toys look pretty awesome. Happy birthday, Cody! What an awesome birthday giveaway! Happy Birthday to you Cody our buddy! Hope you have an awesome year ahead!! Cody! Yous the bestest spokes cat ever! And mes shall sings yous the song! Happy Birthday, Cody! I hope you had a great day. Those are some cool cat toys!!! Happy Birthday to YOU, Cody!! And what pawsome toys those are that you are sharing in a givaway! No unaatended string here either...Minko would chew it right up! Happy Birthday Cody!!! Your mom was right... this is one giveaway not to miss! All of these toys are just way too cool... I really like that cheese toy, but I can see Callie loving all of them. Especially the Flik like you do. Happy Birthday Cody! Those toys look like great fun. Me and mum laughed how your head bobbed back every time the mouse stuck his nose out. Sorry I couldn't comment yesterday but our broadband has been on an ultra go slow the past few days and the page wouldn't load properly. It has got my mum tearing her hair out. It's not just us, our neighbours are getting the same trouble. Flynn thank you! I have to tell you (this is the Mom), that I laughed my head off at Cody's head too. He did the same thing on the Pounce review from another blog post. It cracks me up EVERY time and so far, you and I are the only ones who noticed that. I sure wish I could have opened this give-away world-wide, but it wasn't my call. :( I am grateful that the brand is being as generous as they are. Hoping that your broadband issues are solved soon, tech issues are the WORST! Happy Birthday Cody, how great that you turned 8, here's to many more Birthday's. What a great prize package, I'm sure MK would love that mouse and cheese game, she loves to catch mice. Hugs and kisses! What a great giveaway. I don't have any kitties because I so highly allergic. I sure wish I could have kitties though. I'd have more than one. Happy Happy Happy Day to you Cody! WE didn't see your post yesterday (somehow) although we did send you purrday wishes on FB. WE hope you had a wonderful happy special day yesterday. Happy (belated) Birthday!!! What fun gifts - enjoy them and thank you and your mom for the great chance!